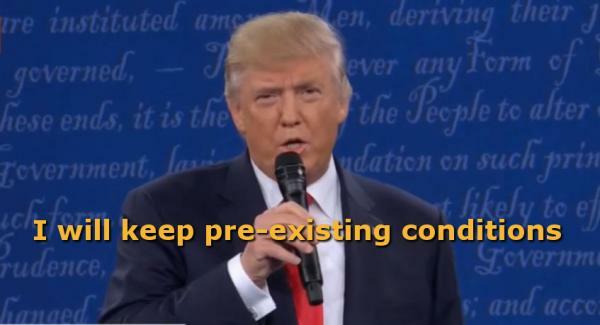 Donald Trump promises to include pre-existing conditions in his health reform and pay for people who cannot afford to pay for health insurance. Do you believe he will stand behind his promise as the POTUS? You voted 'Easy to predict'. This prediction was Predicted By Donald Trump on 10/9/16 and its expiration date is 11/21/16. This prediction was Predicted By Donald Trump on 11/10/15 and its expiration date is 11/30/17.